The boiler is one of the important and expensive features in your home so it is essential to keep it working properly all year round. Boiler servicing is a simple way to keep your boiler in good working order. Safety: Although gas leaks are rare, regular maintenance will help avoid any such incidences and keep your home and family safe. 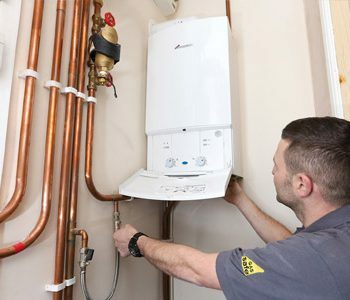 Energy efficiency: Regular (annual) servicing is also a great way to ensure that your boiler uses energy in the most efficient way and doesn’t end up costing you too much money. Extend boiler life: Having your boiler serviced once a year will ensure that you can use your boiler for as long as possible. Boiler cover claims: Even if you have boiler come a home insurance company will insist on seeing your boiler service records if you claim for a repair. It is recommended that you have your boiler serviced once a year. Most people prefer to do this at the end of the summer/ beginning of autumn as a problem may have developed due to inactivity during the summer. 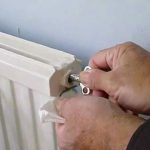 This can also ensure that your boiler is in good working order before the cold winter months. If you notice any issues with your boiler, such as corrosion on the body, leaks or a persistent drop in pressure you should contact your boiler engineer immediately. At Kevan Turnbull Plumbing & Heating we charge £50 for a boiler service in Sunderland and £60 outside of Sunderland.